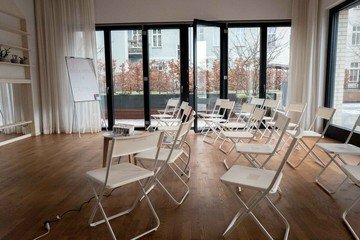 We're sorry, but space Bright and airy meeting/workshop room with access to private terrace. is no longer available. 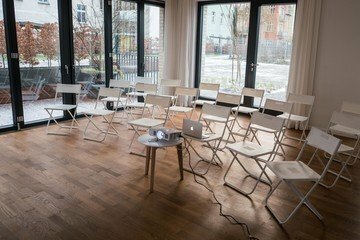 Our bright and airy meeting/workshop room with access to a quiet private terrace allows you to accommodate up to 25 people for panel discussions or 15 people for a meeting/workshop. For a little extra we provide all the necessary equipment on demand: beamer, flip-chart, water, and tee/coffee.